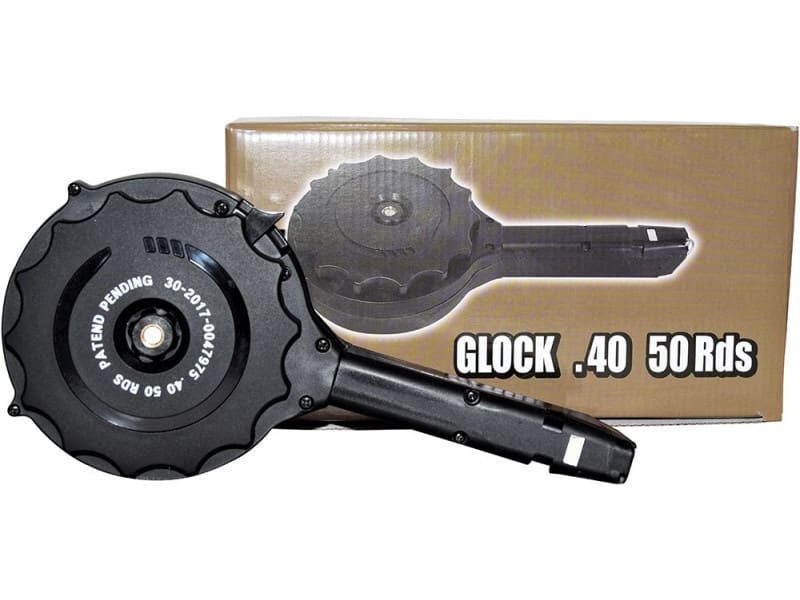 50 Round Drum Magazine in .40 caliber for all double stack Glock .40 Caliber Pistols. These drums are now coming with completely black polymer bodies. Will not fit Smith & Wesson manufactured handguns, only Glocks chambered in .40 S&W. Note Due to LImited Quantities and High Demand we are limiting these drums to an order quantity of no more than 25 units / order. Any attempt to order higher quantities will be rejected at check out. 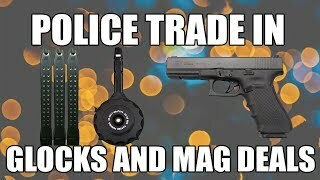 Also - For what it's worth... We have not tried it ourselves, but we have a very good customer that reports that these also function great with the .357 Sig caliber. Actual e-mail below.... Thanks to Mark R. for the report. FYI....I went out this morning and fired off a drum of .357 SIG through the .40 caliber 50 round drum. It worked flawlessly. You might want to mention that on the page you have the drum posted on. 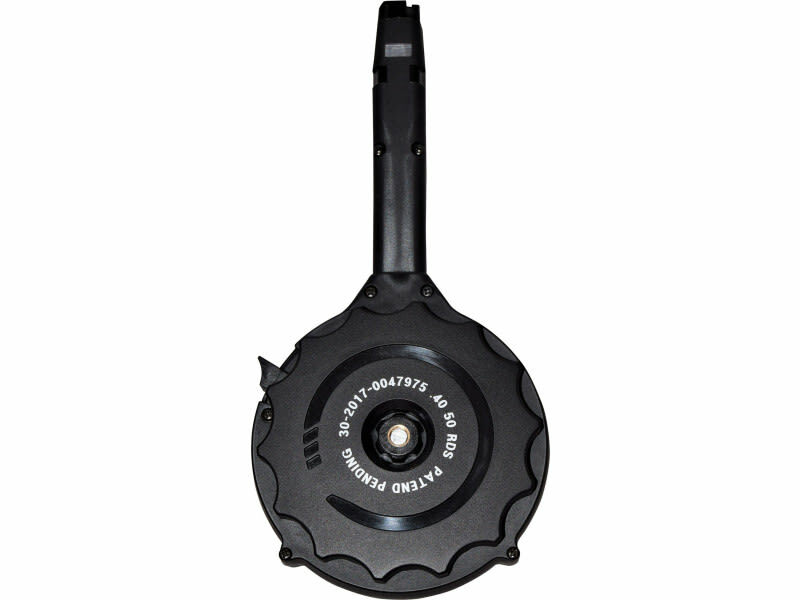 Designed for .40 caliber, but works flawlessly with .357 SIG. Note: These drums are now coming from the manufacturer with entirely black polymer bodies, and no longer have the clear front allowing you to see the remaining rounds. So far, the new versions of the drums seems to function every bit as well as the old models, and the new material provides a stronger more durable construction. 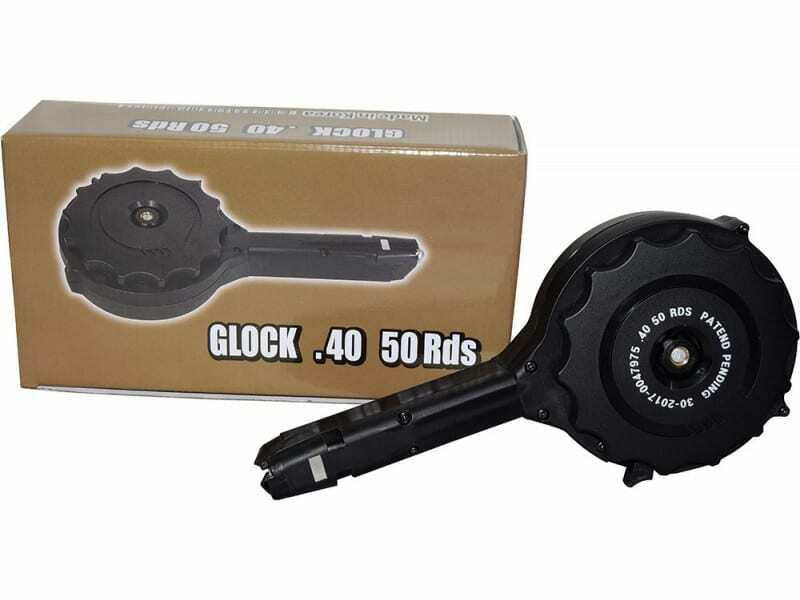 Glock 50 Round Drum Mag in .40 caliber for all Glock .40 Caliber pistols.